Want to learn how to increase your WiFi signal strength? Read through our guide and see how you can easily get a stronger wireless signal. A stuttering video stream is one of the more pressing problems we face in today’s world; one where getting online has become almost as important as breathable oxygen. Unfortunately, from good ole interference to compatibility issues from your wireless router, a broad range of triggers can lead to poor internet connection from your home WiFi connection. These problems and more are exactly why we want to teach you how to increase WiFi signal strength quickly and easily. Below is a quick list of the best selling wireless routers and WiFi repeaters to get you started with better internet strength. The average number of devices owned by individual users has gone up in recent years, and with it, the logistics of ensuring a reliable Internet connection on all our devices. Thanks to WiFi, we no longer need to struggle with a labyrinth of cables, ports, and connector types when connecting our devices to the internet. However, every new technology has its problems, and with WiFi, they include poor connections, limited WiFi range dropped WiFi signals, wireless dead zones. WiFi internet connections problems can happen in multiple dimensions. One of the most common problems with home WiFi is when you are stuck with a slow connection; this could be the case from the initial setup of your router or, in most cases, a gradual slowing down of the connection over the lifetime of your router. 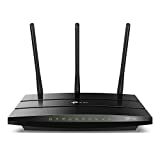 Other typical problems of home WiFi include a weak reception from your home router and in dire cases, not connection at all. The most common cause of WiFi connection problems excessive distance from the router and sub-optimal placement of the router within the household. Your connectivity could easily take a hit if the network created by your router has to support an area that is larger than the router’s maximum range, or if your home has a lot of corners and walls that the signal has to navigate. Other common causes of connection problems include electrical or ultraviolet interference which could be caused by other routers on the same network or large electronic devices that are nearby of your router. If it isn’t any of the problems above, you could have a case of unwanted guests piggybacking on your network. There are many other reasons why your connection may be less than ideal. Fortunately, we have some troubleshooting tips to help increase WiFi signal strength, and many of them won’t cost you anything. Despite the massive increase in Internet speeds world over, internet connections can often get bogged down by a variety of factors; WiFi is no exceptions. Your slow WiFi connection could as a result of a broad range of factors including an increased distance from the router, bandwidth allocation problems, network interference, compatibility issues, and lots more. Router distance and visibility: Distance from your WiFi emitter can be a major contributing factor to the speeds you get on your connected devices. WiFi devices have predetermined area ranges within which the provided connection is most efficient. Straying outside or to the fringes of this range can lead to slow internet connections. Also, house items such as wardrobes, brick, and concrete walls, and doors can limit the effectiveness of your connection over any given range. Fix: A straightforward way to solve this problem is reducing the gap between your devices and your router. You can achieve this either by moving closer to the router or moving to the room where you installed your router. 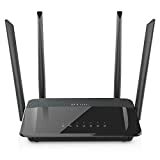 If your connection remains poor, you should consider optimizing the placement of the router by ensuring that you are not mistakenly blocking the signal using large items such as furniture. If possible, it is best you position the router higher off the floor by mounting it on the wall or a shelf. For optimum connection, we also advise you place the router in a more central location in your home. Furthermore, if your router has any external antennas, it’s best you set them in a vertical position to increase their coverage area. Bandwidth allocation: Another common cause of slow WiFi connections is bandwidth allocation. The amount of bandwidth available for use by your connected devices is every bit as important as your internet speed. Even if you attain a 100 percent speed efficiency over a 100Mbps network, your connection still has to be shared over your network of internet devices. If one device, say your PlayStation is guzzling 90% of your bandwidth you would almost definitely receive abysmal connections on your phones and computers. Fix: To ensure improved bandwidth distribution, it is important that you disconnect all devices that you are not actively using. A lot of modern devices can passively hog your bandwidth and transmit data over the internet. For a more progressive approach, you can limit the amount of bandwidth allocated to multiple devices by setting up QoS rules on your router. Quality of Service (QoS) is a router function that lets you distribute bandwidth to your different gadgets and applications based on your priorities. QoS is relatively new tech. Therefore, it is not available on a lot of older routers. To check your router for QoS availability and how to set it up, refer to its manual or the OEM’s website. Interference: Slow connections from WiFi emitters can also be caused by interference, especially in crowded areas. WiFi routers are a mainstay in the average household today. Consequently, congestion can easily occur on commonly used network channels. The majority of people leave their router setting unchanged after setting up. As a result, a large percentage of routers are set to default frequencies such as channel 1 and 6, making these channels very congested. If you are on any of these frequencies, your neighbors’ routers may be interfering with yours, and this will cause your WiFi signal to wane. Equally as devastating, is interference from heavy-duty electronic appliances such as microwaves and security alarms, and phone systems. Many phone systems and other wireless devices can also interfere with signals. You should consider this when shopping for phone systems. Fix: The only solution to this problem is to switch your router to a less congested channel. By switching your wireless channel, you can greatly improve your WiFi signal strength. For best results, you should target WiFi channels that with the least amout of users. To discern the right channel to hop to, use a tool such as WiFi Stumbler; a web app that allows you check the channels that are in use around you. Pick a channel with as little usage as possible so as to avoid as many competing signals as you can. Fortunately, newer router models feature technology that allows them automatically select optimal WiFi channels every time they reboot. However, if you are stuck on one of the older models with no support for this feature, you should seriously consider optimizing your connection for WiFi channels. For a selection of excellent router to upgrade to, check out the list of pocket-friendly routers we curated further down this post. Also, It is important when selecting phone systems or another tech to ensure that you pick up brands and devices that are compatible and work conveniently alongside modern WiFi standards to avoid interference with your home WiFi. For phone systems, it is best you select one that runs the DECT 6.0 system which works smoothly parallel with standard WiFi networks. Compatibility issues: In recent years, there have been considerable changes in WiFi technology and industry standards, with some changes so revolutionary that they impair performance on older routers. As a result, users on older routers often receive slower WiFi speeds as a result of incompatibility between WiFi networks and the older routers. Another cause of incompatibility issues that result when an older router is trying to connect with newer devices. The devices that use WiFi internet have changed greatly in recent years. In recent times, devices such as refrigerators, televisions, speakers, lights, and WiFi use the internet connection from your router. This slew of new devices can cause compatibility issues as legacy routers were not designed to accommodate them. Fix: If you suspect that the cause of your slow connection is your router, it might be time to start curating funds for a new router. Over the cause of various changes in the WiFi industry, routers are now more efficient and far less expensive than they ever were. You can pick up any of the routers we recommended in this post for excellent performance and support for all the latest technologies without having to pay an arm and a leg. Furthermore, to ensure your router is performing optimally, make sure to upgrade the device firmware to the latest available from the manufacturer. WiFi leeches: A threat to your WiFi speed that never goes away is squatters that latch onto your home network without permission. Leeches can seriously impact your connection speeds as they can easily connect to multiple devices and greatly impact your bandwidth, effectively crippling your network. Even worse, WiFi stealers could use your network for downloading illegal files, or for a similar illegal activity, and this could quickly land you trouble with the law. Fix: There are a few ways to boost the security of your home WiFi. Firstly, ensure that you have a strong enough password that would offer better protection against traditional brute force attacks. Also, you should get in the habit of changing your router password often; this will provide an extra layer of security. Even if you have a password, unscrupulous elements can still easily hack your router. Your best bet is to ensure that you are using a password encrypted with the WPA2 (AES) protocol. If you’re not sure which type of encryption your network is using, check it from the wireless connection properties of your router where you can easily identify the security type in use. For some next level protection, you could consider picking up open-source router firmware, DD-WRT. DD-WRT helps harden your router against external attacks and offers a host of other cool features including internet usage monitoring, whole-house ad blocking, and WiFi range boosting among others. In extreme mayday-worthy situations, you may lose your internet connection completely, or you may receive a series of dropped connections. No connection problems may result from a few causes, most of which you can do nothing about as it’s either a problem with the router or from your ISP. Router glitches: The break in your connection may be as a result of a glitch or a combination of glitches in your router. As with any other technology gadgets, routers can come to a halt as a result of a multitude of errors in the firmware. Fix: You can fix most router errors with a simple reboot. To reboot your router to fix errors, switch off the router and disconnect it from a power source, leaving it disconnected for a few minutes, the pull it back in and reboot. An even more efficient way to fix this problem is to set your router to reboot on a giving schedule. This automatic reboots will help refresh the system and mitigate firmware errors. Internet outages: Your connection could also be interrupted by interruptions from your ISP or due to problems with your hardware. Fix: For problems you from your ISP, the only thing you can do is to inform your service provider of the problem. Unfortunately, there is pretty much nothing else you can do, except switching ISPs if problems persist or occur intermittently. For a smoother experience still, you can use any of the popular hacks to further improve the strength and range of your connection without having to buy a new router. Top ways to further improve your connection include hacking your router for better performance using DD-WRT firmware, setting up a WiFi range extender, and extending your connection with DIY hacks. An excellent way to improve your router’s performance is with the use of the DD-WRT software. This firmware brings a great deal of added features to your router including security enhancements and advanced monitoring of your network. Furthermore, DD-WRT lets you extend the range your router and boost transmitting power with a range increase of up to 70mW. To install the DD-WRT firmware, you need to hack your router using simple Linux commands and then install the DD-WRT firmware which you can pick up for free from the official website. 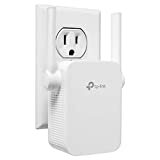 Sometimes the problems with your WiFi connection are simply because your router does not have enough transmitting power to cover your house; this is where a WiFi range extender comes in handy. A WiFi range extender uses similar technology to a traditional router but differs slightly in the use of this tech. An extender receives WiFi signals from your router and then rebroadcasts it to create a wider range of service. As with routers, placements matters with range extenders. For optimum performance, you should place the extender at a point where it can receive a strong signal from your router while also being a reasonable distance towards the area you want to extend the signal to. When buying extenders, it is essential you select one that is compatible with your router. You should select extenders that closely match the speed and type of your router to reduce the chance of any compatibility issues. Want to improve your WiFi network but do not want to shell out a hundred bucks for a WiFi extender? No problem, you can try out any of the following DIY hacks to instantly improve the connection strength and range of your router. You can create a cheap WiFi extender using tin foil, an aluminum can, or with a cooking strainer. Video: Cheap Ways To Boost Your Wi-Fi! Tin foil WiFi extender: For the tin foil method, you need to carefully fold tin foil into a parabola using the Windsurfer parabola template and then attaching it to the antenna of your router to get an instant boost to your WiFi signal. Users have reported as much as 25% improvement in signal strength from this hack. Aluminum can WiFi extender: Similar to the tin foil method, you can use a cutout from an aluminum can boost your WiFi signal. For this method you have to cut a regular beer can into an aluminum parabola and base which you can now attach to the antenna of your router. You can check out the full process here. A cooking strainer as WiFi extender: You can extend your WiFi coverage areas easily using parabolic surfaces. And the good ole cooking strainer is a very cheap alternative. Check out this guide for an easy-to-follow method to boost your WiFi signal with a cheap cooking strainer and an equally cheap USB dongle. If you have had the same router for the past decade, chances are it is outdated and can no longer keep up with the latest WiFi standards and peculiarity. Hence, your best courses of action may be to replace your router completely. Here are the top three replacements that will give you top-class performance without breaking the bank. Selling for a reasonable price, the AC1200 from D-link is a very affordable router that easily wins the bang-for-buck category. The D-Link DIR-842 is a dual-band router that has performed consistently and delivered solid throughput in tests by major router reviewers. The router features four wired LAN ports, four non-removable antennas, eight LED status indicators, four Gigabit LAN ports, a WAN port, a WPS button, and a Power button. Furthermore, you can access a host of management settings from the router’s interface. With the D-Link AC1200, you can cover your house with dual-band wireless networking at very minimal costs. The router is very easy to installs and delivers consistent fast speeds. One pitfall, though, is that the router offers no USB connectivity. This D-link router is easily your best choice; especially if you are on a limited budget. HIGH PERFORMANCE WIFI: The TEW-827DRU generates two quad-stream AC2600 WiFi networks-up to 1733 Mbps WiFi AC + a concurrent 800 Mbps WiFi N network. PRE-ENCRYPTED WIFI: For your added convenience, the WiFi is pre-encrypted with its own unique password. 4 HIGH SPEED GIGABIT PORTS + 1 USB 3.0 PORT: Four gigabit ports support high performance wired connections, and share content across the network with the USB 3.0 share port. 4 EXTERNAL HIGH GAIN ANTENNAS: These 4 external high gain antennas maximize wireless coverage. For a more pricey choice the Trendnet AC260 is a reliable alternative that delivers. Designed to facilitate maximum multiple outputs, the AC260 can handle an unlimited number of connections over WiFi to various device types. On the rear end, the router features four Ethernet ports, a WAN port, and buttons for WPS, WiFi, and Power. You also get four long adjustable and removable external antennas as well as a few LED indicators on the front edge for Power, band activity, internet connectivity, and USB connectivity. The router supports all the latest technologies and features two USB 3.0 ports. If you are going all stops unlocked, this is the router for you! The RT-AC88U is a total beast and easily blows the competition out of the water in both performance and options available. 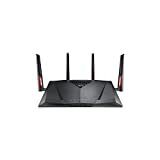 The Asus RT-AC88U is a dual-band 802.11ac router with an impressive array of features and an equally substantial price tag. Like the Trendnet AC2600, the Asus RT=AC88U uses MU-MIMO technology that allows it share a connection to an unlimited number of devices without sacrificing bandwidth. However, to take full advantage of this technology, each of the connecting devices must feature an MU-MIMO-compatible network adapter.